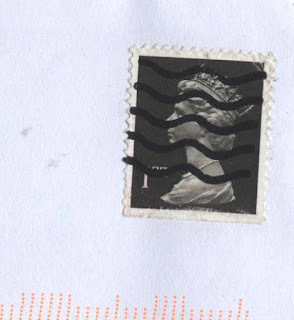 Royal Mail's new 'Revenue Protection' cancellation device (reported here) has got off to an inauspicious start. And the some of the stamps are tied to the envelope, so the postmark is quite clear for all to see! Amazed to actually see any stamps on an SD letter! You, too, can do that if you buy the stamps first. No reason why not - I send and receive loads of them. 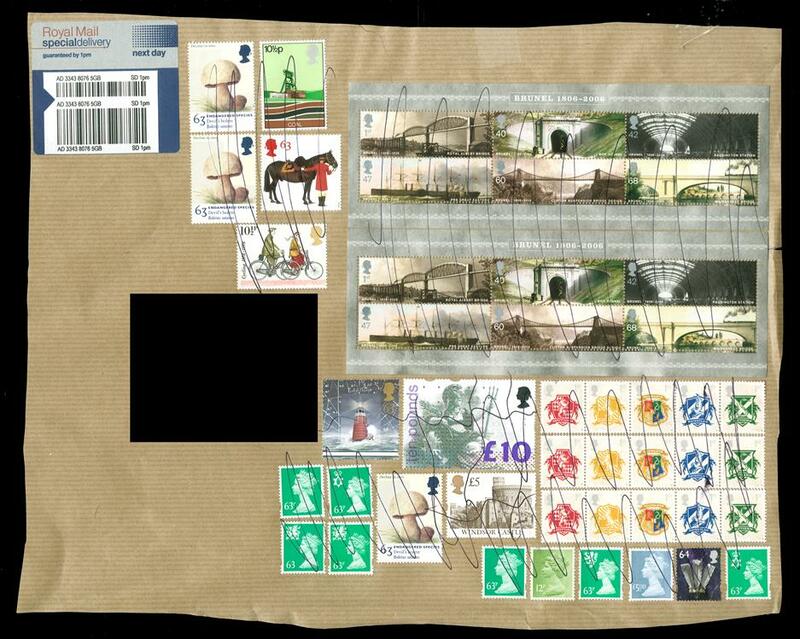 Actually this is a great example of modern Postal History, especially in the Revenue Protection/Postage Due area. 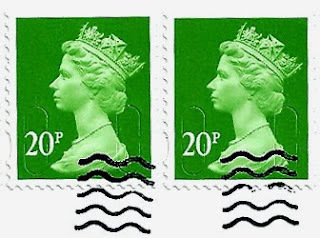 Ian, the stamp cancellation units are used in delivery offices. The chances are that your local DO had a hand in this.